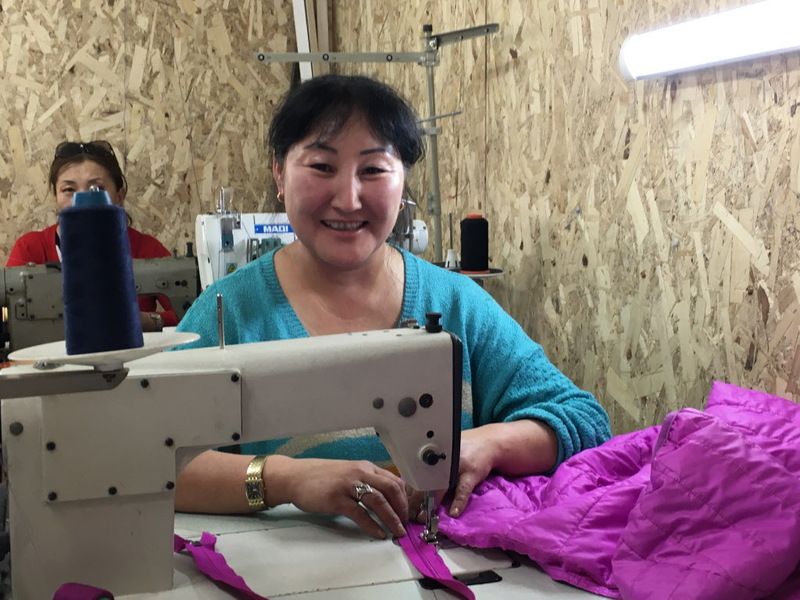 Khan Uul ADP (urban) Mongolia (Economic Development Focus - Graduation Approach Vocational Training ) Zandmaa has four children and had been living on state welfare, approximately $33/month. After starting her business with the three women, she now earns as high as $208USD/month (in the busiest season, Jan-Feb, when they are national celebrations and people want traditional clothes). She used to stay home and now all children in are in school, and she can provide all the needed school supplies plus she has on child in university, which she could not have imagined before the start of her business. WASHINGTON, D.C. (February 8, 2019) – The Christian humanitarian organization World Vision welcomes the administration’s launch of the Women’s Global Development and Prosperity Initiative (W-GDP). Signed by President Trump this week and championed by Advisor to the President Ivanka Trump, the initiative aims to reach 50 million women in developing countries by 2025. It includes 10 different agencies and is guided by three core pillars: workforce development and vocational education; entrepreneurship; and eliminating the legal, regulatory, and cultural barriers that prevent women from participating in their local economies. “The Administration’s launch of the first-ever whole-of-government approach to Women’s Economic Empowerment marks an important moment for women globally,” said Margaret Schuler, Senior Vice President, International Programs at World Vision US. World Vision was particularly encouraged to see the focus on eliminating barriers that prevent women from excelling at the highest levels of their societies, recognizing that oftentimes, harmful social and cultural norms prevent women from fully participating in the economy. Around the world, women account for more than half of those that are currently left out of the formal financial system. Research shows that achieving gender parity in economic activity could add as much as $28 trillion to annual global GDP by 2025. Women’s economic empowerment is foundational to their capacity to thrive across a lifetime. Amongst other things, this includes a safe and quality education, freedom from violence, equal access to land and property, and the highest possible standard of well-being. “Women’s empowerment is crucial for achieving the SDGs, ending world hunger and poverty, and building a better world for children. We are grateful to see the elevation of this crucial work and look forward to partnering to empower women around the world,” Schuler said. Prioritizing women’s economic empowerment can also improve children’s food consumption, nutritional status, and access to education. Studies show that when women earn income, they invest a greater percentage into their families than men. Investing in women’s empowerment and equality across a variety of sectors enhances their ability to lift their voices and make positive changes for themselves, their children, and their communities. World Vision works to improve the skills, resources, power and agency of women, while simultaneously addressing inequitable social and cultural norms, laws, and institutions to promote a more enabling environment for families to thrive. “We congratulate the U.S. Government on this initiative and look forward to working in partnership to see more women and girls empowered to access greater opportunities and achieve their God-given potential,” Schuler said.